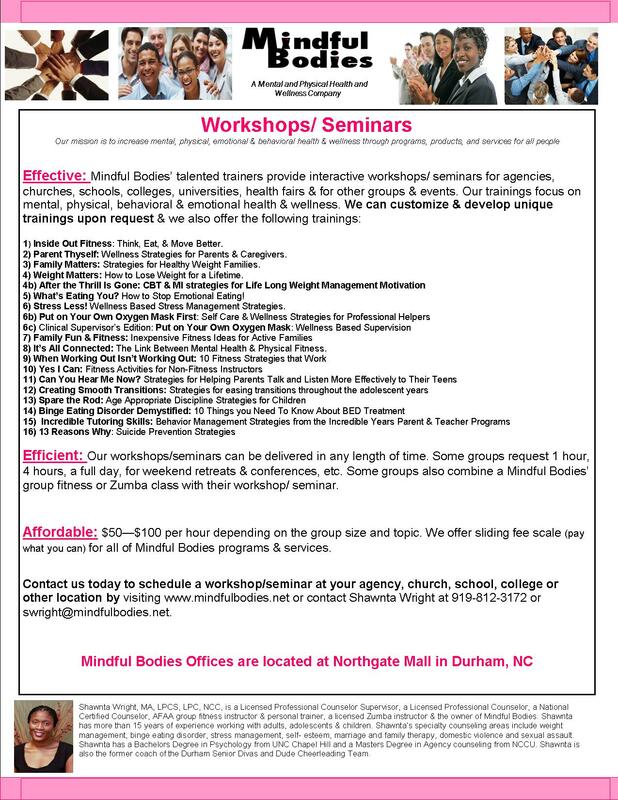 Mindful Bodies’ mission is to increase mental, physical, emotional & behavioral health & wellness through programs, products & services for all people. We offer (1) mental health counseling for various concerns including, but not limited to, sexual assault & domestic violence trauma, self worth, self esteem, identity, anxiety, depression, parenting & couples skills, eating disorders & general weight management & post bariatric surgery issues. 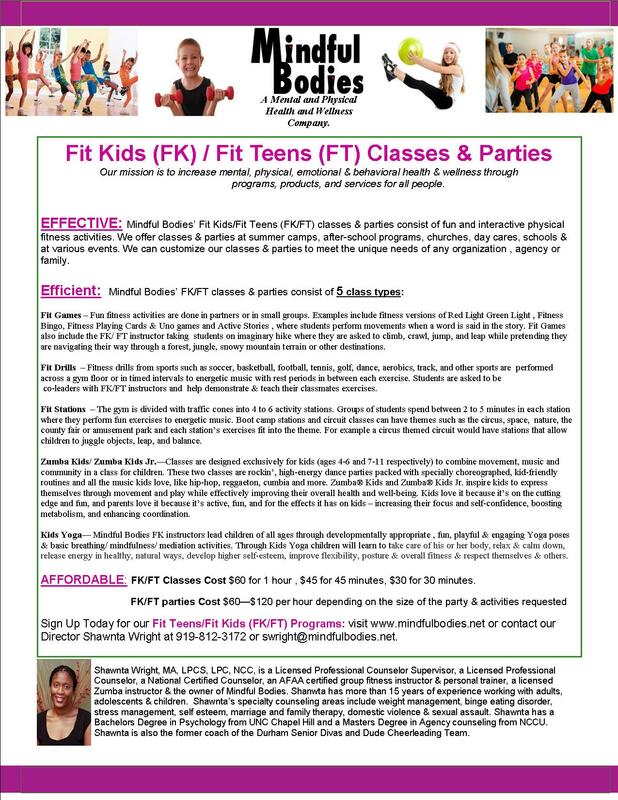 Starting in September 2019, we will offer Gottman Method Couples Therapy (2) physical fitness services including small group personal training, Zumba & group fitness classes & Fit Kids/ Fit Teens (FK/FT) classes (3) workshops/ seminars on various mental health, weight management, eating disorders, parenting topics. 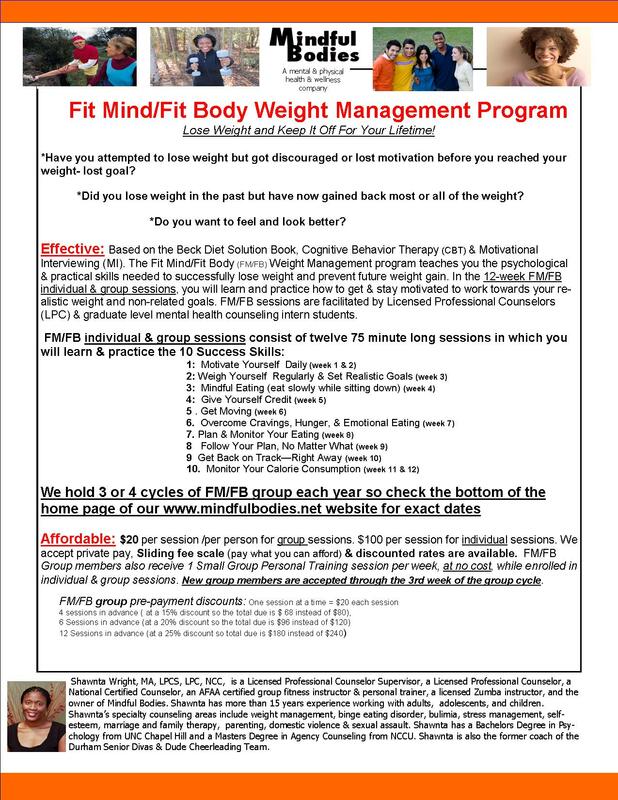 Mindful Bodies vision is to offer efficient, effective & affordable programs, products and services to all people regardless of their ability to pay so our sliding fee scale is a core part of our business practices. We help our clients & our community improve their thoughts, feelings, behaviors & the 6 SPICES/ Wellness areas (Social, Physical, Intellectual, Creative/occupational, Emotional & Spiritual). Visit our Mindful Bodies channel on YouTube! 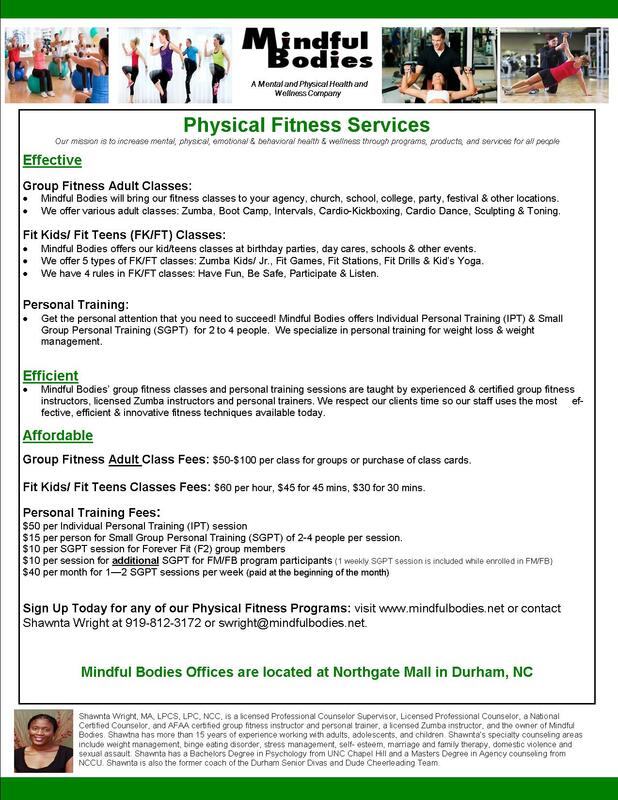 Mindful Bodies is located on the lower level (basement) of Northgate Mall in Durham NC, in office area 3/ office 303C. It can be confusing about how to find our office the first time so you may have to utilize a mall map/ mall directory or ask a mall security guard or customer service desk staff where office area 3 is located. Please note, there are 3 different office areas on the lower level (office areas 2, 3 & 6). Here are 2 options for finding office area 3: Option A is if you drive behind the mall and Option B is if you come inside the mall. A) Enter the mall’s campus through the Gregson Street side of the mall. Drive past the Northgate Movie Theater & past the Parking Deck. You will be driving on the backside of the mall, where there are plain brown doors with numbers and names of businesses. Slow down by the Office Area 2 glass door because the office area 3 door, which is approx. 50 yards away, is difficult to see & is easy to drive past because cars park in front of it. Consider parking at office area 2 & walking to the office area 3 door ( which is beside blue trash/ recycling bins & a huge white wall). Go inside the office area 3 door & down the hall to office 303C. Other tips for finding the backdoor to office area 3 is to look for Durham County Sheriff marked and unmarked cars that are sometimes parked outside of office area 3 (the Sheriff’s department has an office in office area 3). 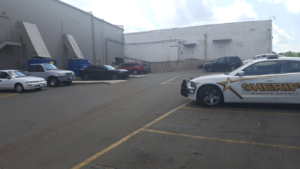 You can also look for a gold Toyota Camry (my car) which is usually parked near the office area 3 door. 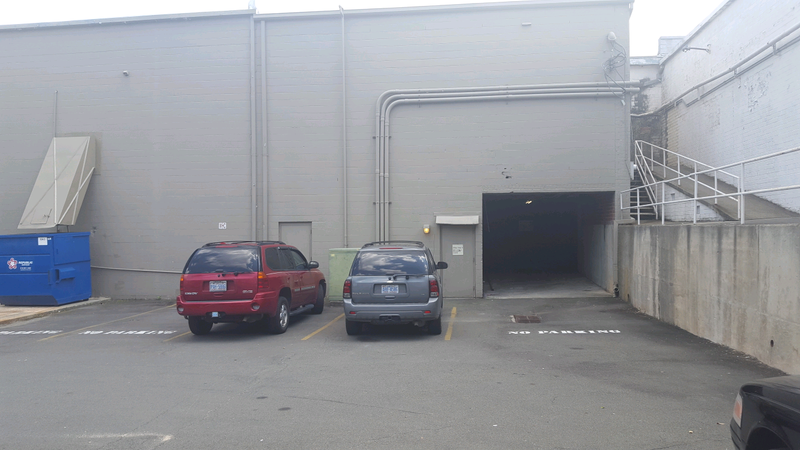 There is also a white wall right beside office area 3 and on the other side of the wall is mall entrance 10 (where the shoe department and bath and both works are located) so you could park at mall entrance 10 and walk down past the wall to office area 3. B) Enter the mall’s campus through the Gregson Street side of the mall & turn into the movie theater parking deck. 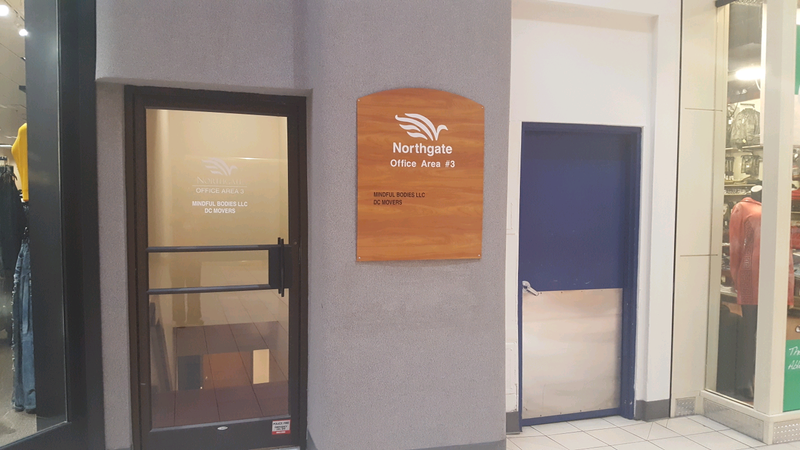 Park & enter the mall through either 3 of the exterior glass doors marked mall entrance. Locate a mall map/ mall directory and locate office area 3 on the map or locate the Ashley Stewart & The Shoe Department stores on the map. The glass door to office area 3 is located beside the Ashley Stewart store, which is beside the Shoe Department. Go through the office area 3 glass door then go downstairs, past the bathroom on the left & water fountains to office 303C. 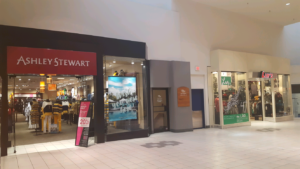 If you are lost, utilize a mall map/ mall directory, ask a Mall Security Guard or ask the customer service desk staff where office area 3 is located. 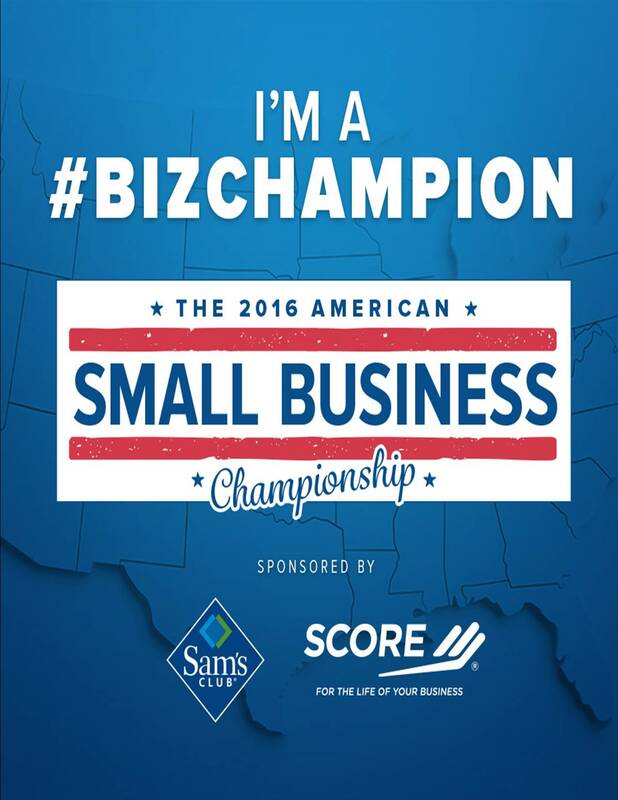 We are so excited to have been named an 2016 American Small Business Champion by @SCOREMentors and @SamsClub ! BIG THANKS to our clients, supporters and friends for voting for us in February 2016 & for the other numerous ways you have helped us achieve this recognition. 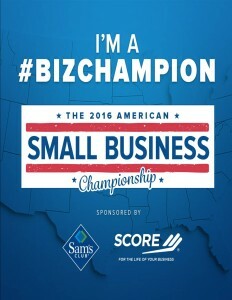 Find out more about our win at www.championship.score.org ‪#‎BizChampion‬.